Looking for a different take on the classic zucchini bread your Mom always made? 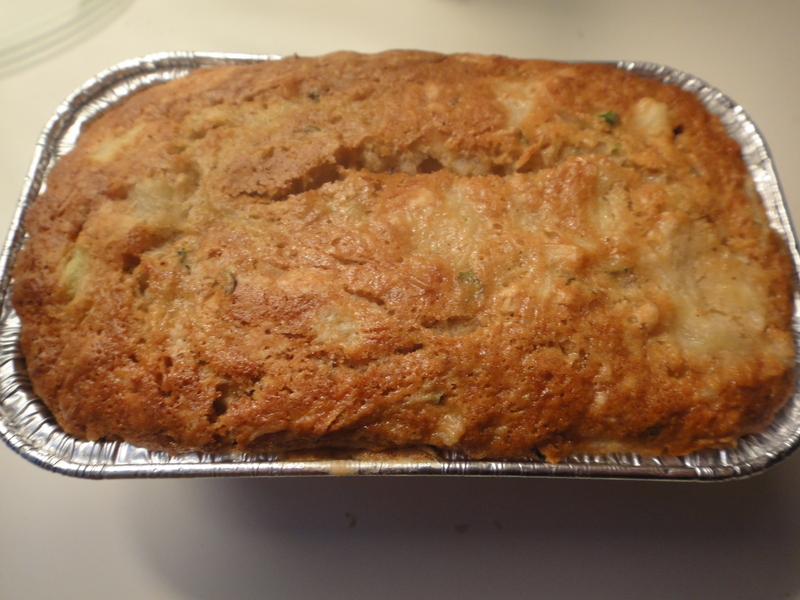 Try this one…Tropical Zucchini Bread! This sounds like a really weird combo, but I promise that you that the zucchini pretty much melts into the bread and you’re left with a wonderful tropical delight. Make sure to really drain the zucchini and pineapple well- this bread is already really moist and you don’t want to end up with tropical mush! Measure first 6 ingredients into large bowl. Stir. Make a well in center. Combine next 5 ingredients in medium bowl until smooth. Add remaining 3 ingredients. Stir. Add to well. Stir until just moistened. Spread in greased 9 x 5 x 3 inch loaf pan. Bake in 350°F oven for about 1 hour until wooden pick inserted in centre comes out clean**. Let stand in pan for 10 minutes before removing to wire rack to cool. Cuts into 16 slices. **I didn’t want to make one giant loaf, so I poured my batter into 3 mini loaf pans and baked for about 30-35 minutes. For some crazy reason I can see this working. Thx for the recipe!